Cumulus is fine. It doesn't do anything new, or particularly well. It's a fast-paced cautionary tale of tech overreach, class lines, and the willingness of people to trust that things are going right without any oversight. Its characters are made of cardboard, and its ending is bafflingly upbeat. I read it while traveling, which is appropriate because it's more or less airport bookshelf fodder; not good enough to read unless you have nothing else to choose from. Cumulus is a surveillance program, or maybe it's a social network, or maybe it's something else, but the gist of it is that it knows everything about you. In a series of unfortunate events, the CEO of Cumulus, Huian Li, finds herself coming to the rescue of Lilly Miyamoto, a technophobic photographer. Together, they discover that an agent of Cumulus is out of control and threatens civil war between the Greenies (elites living in the Green Zone) and the slummers. The world of Cumulus is entirely within the city of Oakland and depicts your stereotypical, class-divided, libertarian dystopia, with an app economy twist. Those who can afford it live in the Green Zone; they've got the protection of private security, move freely with app-summoned transportation, and the government stays the hell out. Everyone else lives in the slums, where life is dangerous and protection of the law is not guaranteed. It's not original in the slightest, but it does throw a lot of Silicon Valley shade, with everything given tech industry inspired names like Security for the private security in the Green Zone, and Fleet for their automated personal transportation service. 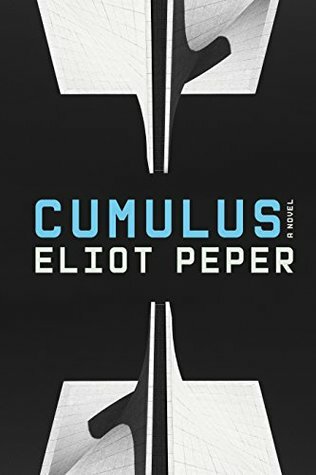 With more aspersions cast at Silicon Valley and the app economy, Cumulus knows everything and the antagonist is exploiting it to further their own goals. The story doesn't do anything special. It's a warning against putting too much trust in technology, but it does move fast and doesn't lose pace much at all. This is a benefit, because there's not much to the characters. Their motivations range from dead simple to unknown or non-existent. This is a particular problem for the antagonist. In the end, I couldn't explain why it all happened in the first place. It's hard to recommend Cumulus. There's not much about it besides the author's obvious love for Oakland and quickly moving story. It won't say anything you haven't already heard and does so with weak characters.